This article describes installation of a full Jedox instance, including the In-Memory DB. For installation of the Jedox Excel Add-in alone, see Excel Add-in Installation (Client Only). In Windows, you must have administrator rights to install Jedox software. To install and run Jedox, please read first the hardware requirements and the software requirements. 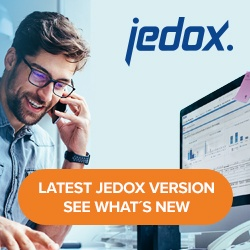 Important: if you have an existing Jedox instance, see the article Updating a Jedox Installation in Windows before starting Setup. This includes the installation of the Jedox In-Memory DB Server, Excel Add-in and Jedox Web with default settings. This article describes the default setup. Here you can select the components to install, such as Jedox Excel Add-in. See also Excel Add-in Installation (Client Only). Uninstalls the existing Jedox installation and then quits the setup. The following is the description of an advanced setup. The setup dialog for the default setup is shorter in some cases. To install the Jedox SAP Connector, please refer to SAP Java Connector (JCo) Installation before you proceed. The R Integration can be installed later, as described in R Installation. Step 6 – Select the destination directory for the installation. Step 8 – Option to disable the Import Wizard and the Modeler for Jedox Excel Add-in. It is also possible to leave the interface fields for Apache server and for Jedox In-Memory DB Server empty (but not the port fields!). Then, the Apache server and the Jedox In-Memory DB Server will be accessible via all network interfaces. This possibility exists also for the Tomcat server interface. But we do not recommend to leave it empty as the Tomcat server does not require separate user authentication. Moreover, normally the Tomcat server is only used locally. Note regarding occupied port 80: if you are using anti-virus programs (such as Eset with specific settings), then setup may indicate that that port 80 is in use, although it is not. Furthermore, Skype uses sometimes Port 80. In this case please uncheck the corresponding checkmark in Skype –Tools –Options –Advanced – Connection. If the problem persists, you will have to restart the installation and choose Advanced Mode to change the used port to a free one. Note regarding manually changed ports: if the last setup of Jedox included manual changes to ports and config files, these do not get entered into the registry and the Setup. In these cases, you must stop the Jedox services to unblock these ports before proceeding with the actual installation. In case of missing software installations, a dialog showing the missing software is displayed. You are prompted to install the following software: VCRedist 2013, VCRedist 2017, Java Version 11 and .Net. Click Next on this dialog to install all the missing software. Please note that VCcredist installation might require system restart during the setup process. After all required software is installed, Jedox Setup will continue to install Jedox Suite. Install Demo Data: Option if demo data installation does not exist. Overwrite Demo Data: Option if demo data installation does already exist. If this option is set, the following demo data will be reinstalled: the database “Demo”, the database “Biker”, the folder group “Demo spreadsheets” and the report group “Demo Reports”. Enable GPU Accelerator (in „Default setup“ this option is not shown and will be always set as „unchecked“). If a suitable graphics card is available, you can activate the GPU acceleration for the Jedox In-Memory DB Server. You can find the requirements in the corresponding Knowledge Base article. Enable Drilldown in Supervision Server (this option you receive only in a new Windows installation). When you enable Drilldown functionality, the corresponding files (palo.ini and sep.inc.php) will be adjusted accordingly. In sep.inc.php will be included ‘./sample_scripts/sep.inc.drill_through.php’ instead of ‘./sample_scripts/sep.inc.default.php’. Step 13 – Existing components are removed and then the new installation process begins. “Start – Programs – Jedox Suite – Jedox Excel Add-in”. Note 1: to avoid display errors, delete your browser’s cache and cookies before you start Jedox Web. Note 2: in Windows operating systems with user control, the Jedox In-Memory DB Server is only available for the user who has installed Jedox. Note 3: the setup will automatically change the script name in the sep.inc.php script during the update to the sep.inc.default.php script ((resp. if Drilldown is enabled to the sep.inc.drill_through.php script), to ensure that a syntactically correct script is used. If you have used a custom script before, you need to re-include it in sep.inc.php after the update.